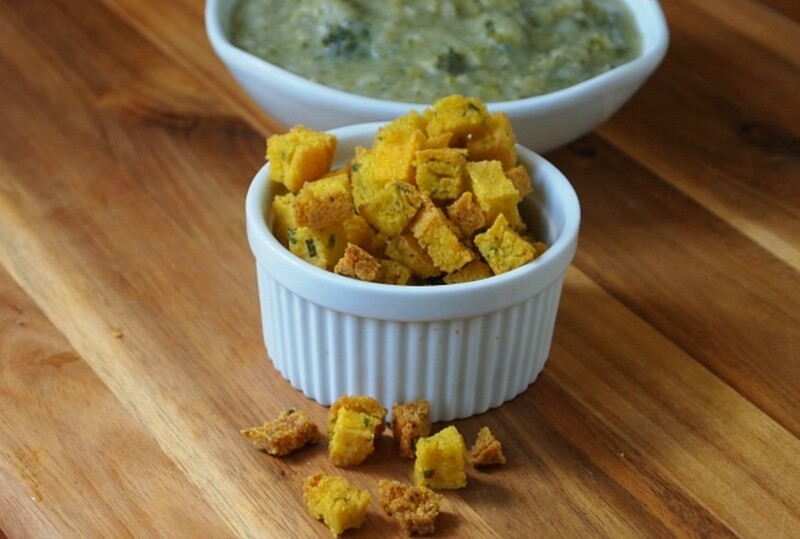 Make gluten free polenta croutons out of leftover polenta and enjoy with soup or salad out of your hand. 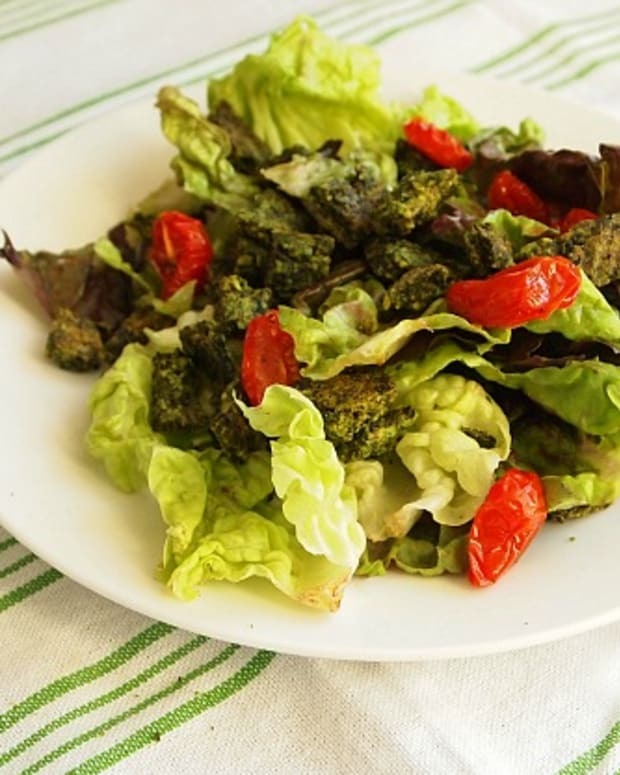 The flavor is unique for croutons and the crunch is very satisfying. 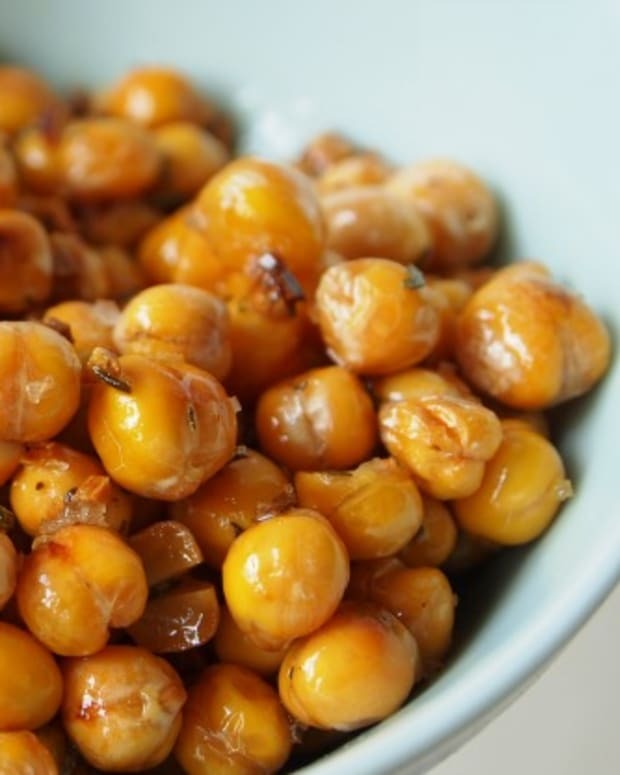 You could make them by frying in oil, but this baked method is easier and lower in fat. 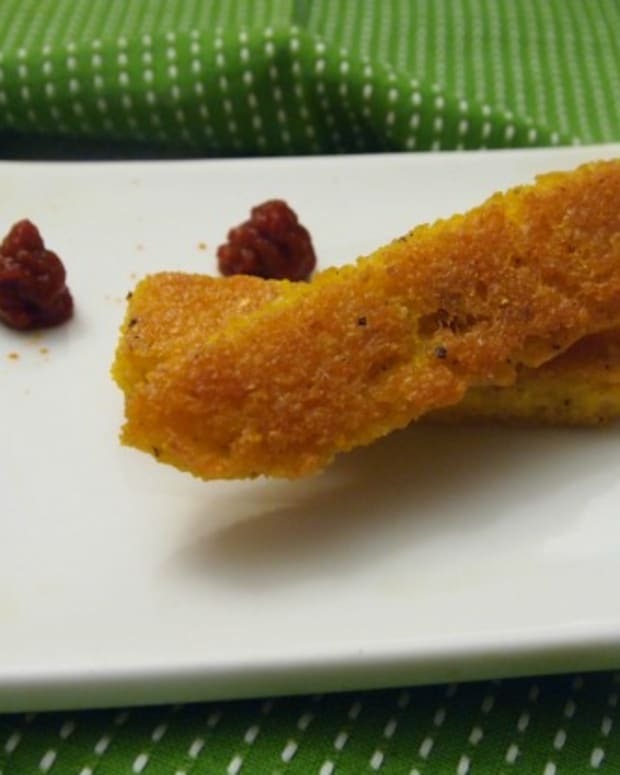 Polenta is naturally whole grain and gluten free so everyone can enjoy. 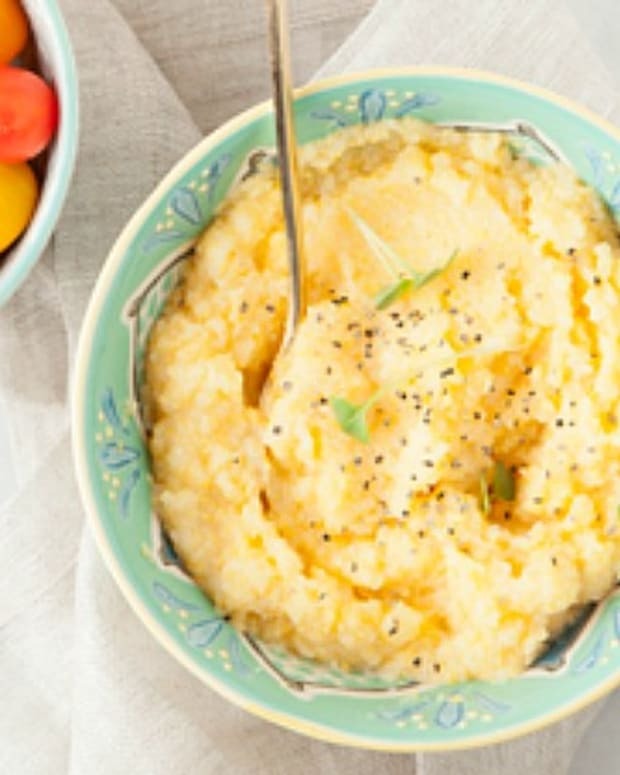 Prepare polenta or use leftover polenta from another meal. Bring 3 cups of water to a boil in a heavy large saucepan. Add salt. Gradually whisk in the cornmeal. Reduce the heat to low and cook until the mixture thickens and the cornmeal is tender, stirring often, about 12 to 15 minutes. Turn off the heat. Lightly spray a pyrex 13x9 dish with cooking spray. Transfer the hot polenta to the prepared baking dish, spreading evenly. Refrigerate until cold and firm, about 2 hours. To make the croutons: Preheat oven to 300 F. Cut the polenta into 3/4-inch cubes. Pat the polenta cubes dry with paper towels. Spread cubes out on a large baking sheet and spray with cooking spray. Bake in oven for about 30 minutes until croutons become hard and crispy. 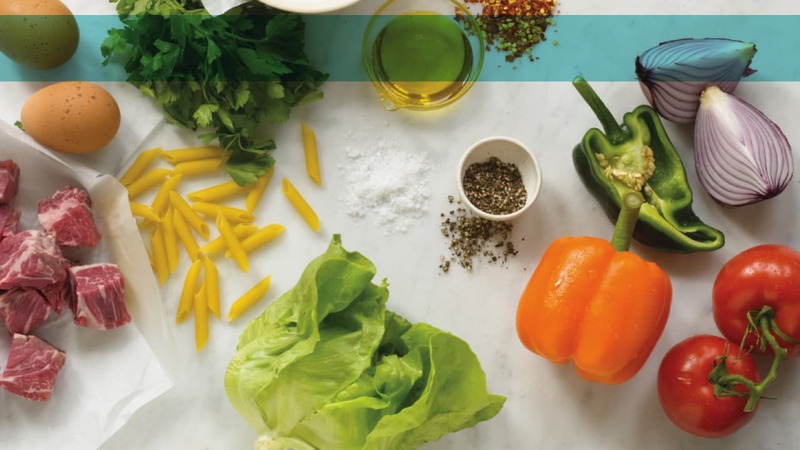 Serve in soup or salad as desired or eat as a snack. 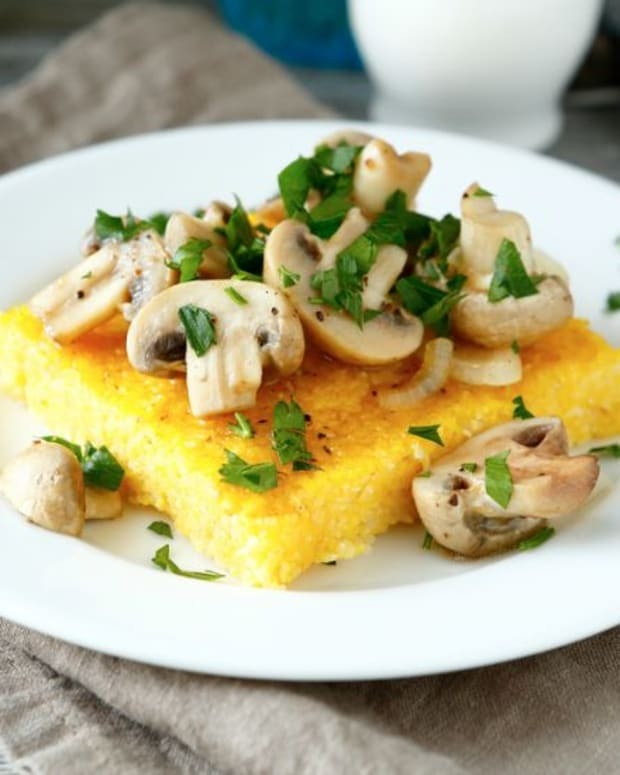 Cut our polenta into small squares. 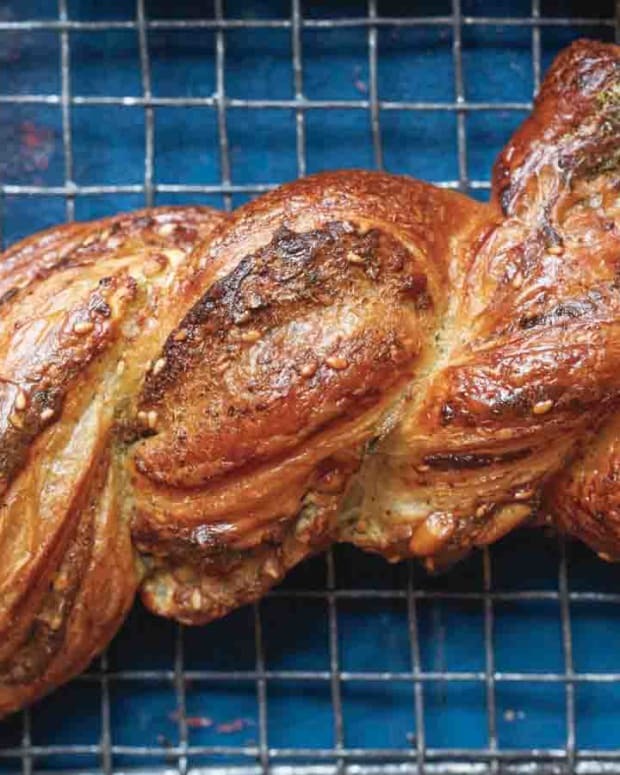 Place in preheated 300 degree oven and bake for at least an hour until browned and crunchy.